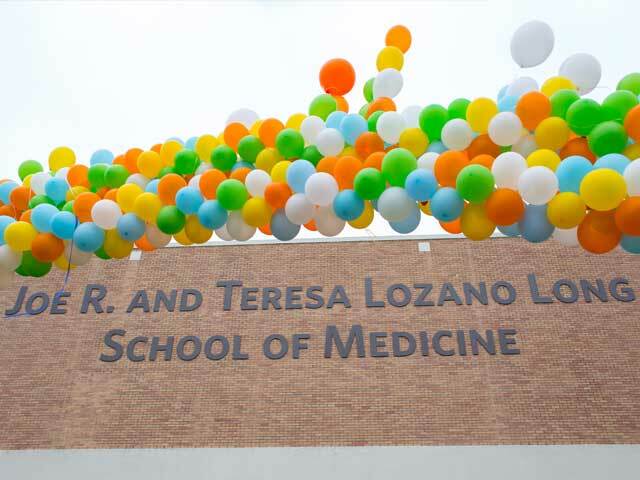 Welcome to the Joe R. and Teresa Lozano Long School of Medicine at UT Health San Antonio - a great place to live, study, discover and practice medicine. A strong and supportive faculty, numerous opportunities for building clinical and research skills, and a high quality of life in a growing, prosperous city are a few of the reasons that distinguish us. Located in the heart of the South Texas Medical Center, we are a major part of the health care and bioscience industry of the area, and we have a firm commitment to serve the communities within San Antonio and the surrounding region. Our School of Medicine has embarked on an ambitious strategic plan that builds excellence in each of our traditional missions: education, research and clinical service. With your help and continued support, we can continue to makes lives better. As an alumnus, Dr. Doran believes it is important to support health care institutions that require financial contributions to maintain research goals. He has been instrumental in giving back to the Joe R. and Teresa Lozano Long School of Medicine through financial support, establishing the John H. Doran, M.D., FACP, Endowed Chair in Peripheral Neuropathy in 2014. S. Adil Husain, M.D., and his wife, Rebecca Husain, have established an endowment to fund study and travel for cardiothoracic surgical fellows and pediatric residents. The Husain Family Educational Fund in Pediatric and Adult Cardiovascular Disease was funded by an initial $15,000 gift, with an additional $30,000 to be given over the next two years. 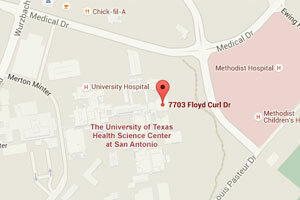 Three recent gifts to the pediatric transplant program at San Antonio’s University Transplant Center will help create a National Center for Excellence in pediatric liver transplantation, grow an already renowned pediatric kidney transplant program and improve access to services for patients along the Texas-Mexico border. Classes of 1973, 2010, 2015 met their class goal and established a Class Scholarship for a deserving student! • Of the 45 graduating School of Medicine classes, only three have created a fully funded Endowed Scholarship for a deserving student. • It only takes $10,000 (collectively) to create a Class Scholarship to help a student. • If every graduate contributed just $50 each, they would collectively create a scholarship from their class to help a student. In Togo, Africa, Elizabeth Fernandez is called “Nbataam-Kandabri,” the protector of children. She is one of only two pediatricians in a hospital that serves a town of 55,000 people, plus hundreds that come from surrounding towns and from four neighboring counties.